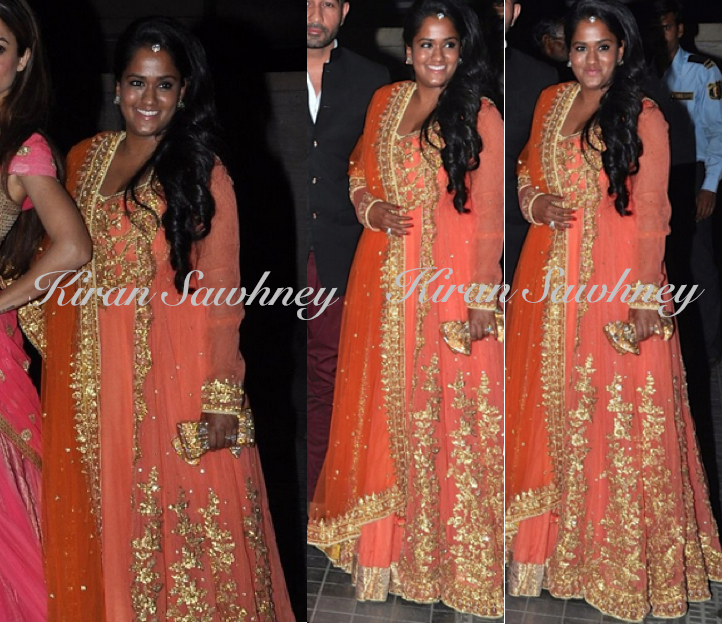 At Soha's wedding reception, Arpita Khan wore an orange colored, long anarkali by Preeti S Kapoor. She finished the look with side swept hair and a maang tika. Arpita's love for bags and clutches is well known and she is a proud owner of a fabulous collection of bags and clutches. What she carries is quite noteworthy. Here she carried a Judith Leiber minaudière. 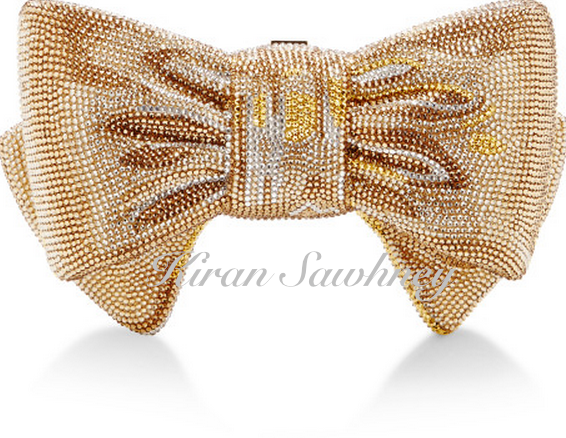 It is called Gold Bow Just for you clutch. Currently, it is sold out. Last we know, it retailed for $5995. It is a beautiful clutch.